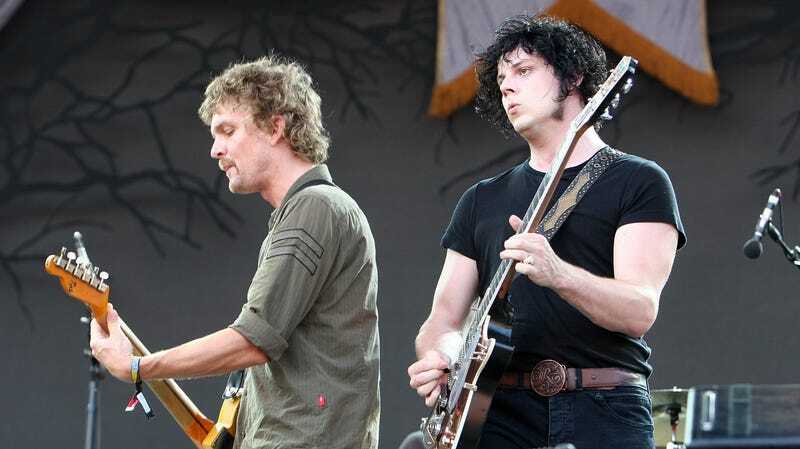 As reported by Billboard, the members of hip indie rock supergroup The Raconteurs—Jack White, Brendan Benson, Jack Lawrence, and Patrick Keeler—have reunited for the first time since they released Consolers Of The Lonely in 2008. Today, the band announced its third full-length album, Help Us Stranger, which will be available on June 21 through (what else?) Jack White’s Third Man Records label. Also, The Raconteurs will be playing their first live show in eight years this Saturday at Third Man’s anniversary party, so they seem pretty serious about getting back into the whole raconteur business. Billboard has the full track list for Help Us Stranger, which will include the pair of new singles (“Sunday Driver” and “Now That You’re Gone”) that the band released at the end of last year. You can hear those below.